WASHINGTON Small teams of special operations forces arrived at American embassies throughout North Africa in the months before militants launched the fiery attack that killed the U.S. ambassador in Libya. The soldiers' mission: Set up a network that could quickly strike a terrorist target or rescue a hostage. The counterterror effort indicates that the administration has been worried for some time about a growing threat posed by al Qaeda and its offshoots in North Africa. 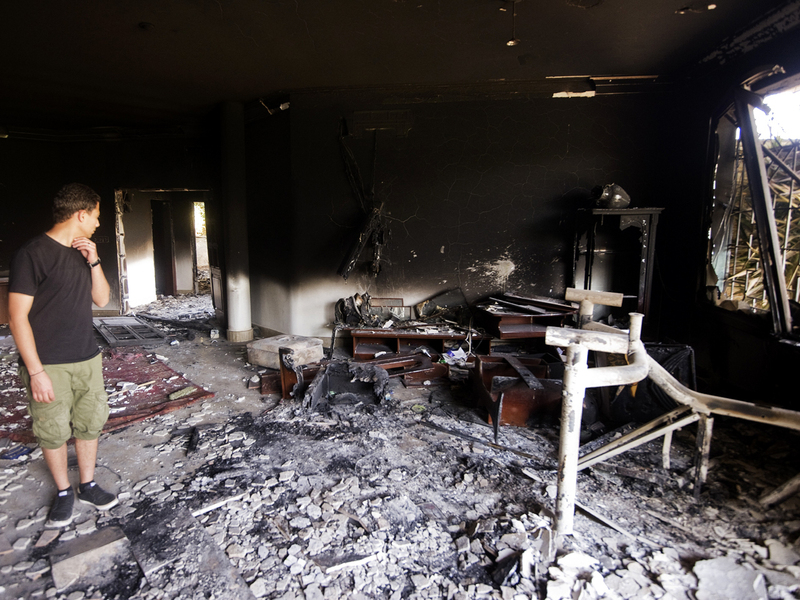 But officials say the military organization was too new to respond to the attack in Benghazi, where the administration now believes armed al Qaeda-linked militants surrounded the lightly guarded U.S. compound, set it on fire and killed Ambassador Chris Stevens and three other Americans. Video: Gingrich: How could Amb. be in Benghazi on 9/11 without security? The go-slow approach being taken by the Army's top clandestine counterterrorist unit  known as Delta Force  is an effort by the White House to counter criticism from some U.S. lawmakers, human rights activists and others that the anti-terror fight is shifting largely to a secret war using special operations raids and drone strikes, with little public accountability. The administration has been taking its time when setting up the new unit to get buy-in from all players who might be affected, such as the U.S. ambassadors, CIA station chiefs, regional U.S. military commanders and local leaders. Eventually, the Delta Force group will form the backbone of a military task force responsible for combating al Qaeda and other terrorist groups across the region with an arsenal that includes drones. But first, it will work to win acceptance by helping North African nations build their own special operations and counterterror units. The Obama administration has been concerned about the growing power and influence of al Qaeda offshoots in Yemen, Somalia, Iraq and North Africa. Only the Yemeni branch has tried to attack American territory directly so far, with a series of thwarted bomb plots aimed at U.S.-bound aircraft. A Navy SEAL task force set up in 2009 has used a combination of raids and drone strikes to fight militants in Yemen and Somalia, working together with the CIA and local forces. The new task force would work in much the same way to combat al Qaeda's North African affiliates, which are growing in numbers and are awash in weapons from post-revolutionary Libya's looted stockpiles. They are well-funded by a criminal network trafficking in drugs and hostages. Al Qaeda in the Islamic Maghreb or AQIM, and Nigerian-based extremist sect Boko Haram are arguably the two largest and most dangerous affiliates. Both have morphed in recent years from extremist rebel groups that challenge their home governments into terrorist groups that use violence to try to impose extreme Islamic rule on any territory they can seize across Africa. The governments of Libya and Niger have already asked for U.S. assistance to build their own special operations capability to help combat such al Qaeda-related groups, and Nigeria has requested help to control its porous border to stop militant trafficking, according to two U.S. officials. They, too, spoke only on condition of anonymity. Mali has asked for international assistance to win back control of its northern region from al Qaeda groups including AQIM and Boko Haram, opening the possibility of a return of U.S. special operations forces there. A U.S. training unit was pulled out of the country after a March coup that gave the militants the chaos they needed to seize the northern territory.